Shirlyn’s Natural Foods Launches New Rewards Program - Shirlyn's Natural Foods is pleased to announce they have launched a new rewards program designed to give back to their loyal customers. Shirlyn's Natural Foods is pleased to announce they have launched a new rewards program designed to give back to their loyal customers. Shirlyn's Natural Foods is pleased to announce they have launched a new rewards program designed to give back to their loyal customers. This new program offers two levels of rewards for customers, including the Shirlyn's Rewards and VIP Program. Shirlyn's Rewards members will receive a number of benefits in the store itself. This includes up to 50 percent off retail prices on all products, as well as 20 percent off any treatments. All of this is available for as low as $99 per year, which can offer incredible savings for customers who visit the stores. For those who upgrade to the VIP Rewards Program for $249 per year, receive additional benefits beyond the above listed discounts. These members will receive a wellness package valued at $300, which includes a health screening, therapeutic massage, colon hydrotherapy and multivitamin. They will also receive a $600 promotional package that includes grand prize drawings, as well as exclusive events and promotions. Customers receive a total of $1,000 in VIP benefits for only $249! 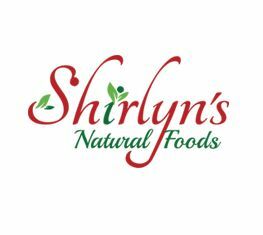 Anyone interested in learning about the various products and services offered, as well as the new rewards program, can find out more by visiting the Shirlyn's Natural Foods website at http://www.shirlyns.com or by calling 801-495-4500. About Shirlyn's Natural Foods: Shirlyn's Natural Foods is a natural vitamin and supplement health store that offers the highest quality products on the market, as well as the treatments needed for a healthy lifestyle. With their new rewards program, they offer these products at incredibly low prices, giving their customers access to the health and wellness they deserve. Shirlyn's has been in business for nearly 30 years, giving their customers local products at affordable prices, along with amazing treatments and customer education.